We can’t change our children’s hearts and make them cheerful about obeying us, but we can certainly encourage cheerful obedience, and we can help our children see why they can obey with joy. We’ll talk about teaching older children to respect parental authority (as Daniel promised last week) in a future post, but for today let’s look at the attitude behind true obedience. 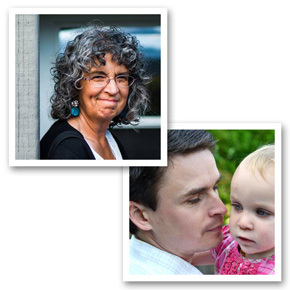 We’ll look at 3 reasons for cheerful obedience, and 4 ways to encourage cheerful obedience. We should obey cheerfully out of gratitude for all God has done for us. God had given the Israelites the land of Canaan, a land “flowing with milk and honey”. Their response to such love and grace should have been grateful, loving worship and obedience. But they didn’t obey God with “joyfulness and gladness of heart”, and because they were unwilling to serve Him with joy, they were left to serve their enemies instead. When the Israelites failed to serve the Lord with joy, they were disobeying. When we or our children fail to serve the Lord with joy, we are disobeying. He has called us to obey Him with joy. God has given us life. He cares for us and blesses us. Our response should be one of gratefulness and a desire to serve and please the One who has done so much for us. Our children can be cheerful when they obey, because they know they are serving and pleasing God. We should obey cheerfully because our Savior obeyed His Father. Philippians 2:14 commands us to “do all things without grumbling or disputing”, We and our children break this command when our obedience is not coupled with joy.” This is a command, not a suggestion. We are to do all things without grumbling or disputing. Earlier verses in Philippians 2 tell us how and why. We are to have the mind of Christ. He gave up the glories of heaven to become a servant and to obey, even to the point of death, because He was carrying out His Father’s will. If the Son of God can humble Himself and obey, surely we – and our children — can and should humble ourselves and obey those God has placed over us! We can do it with joy, without grumbling or disputing, because our Savior did – because He loves us so much — and He gives us the desire and strength to imitate Him! 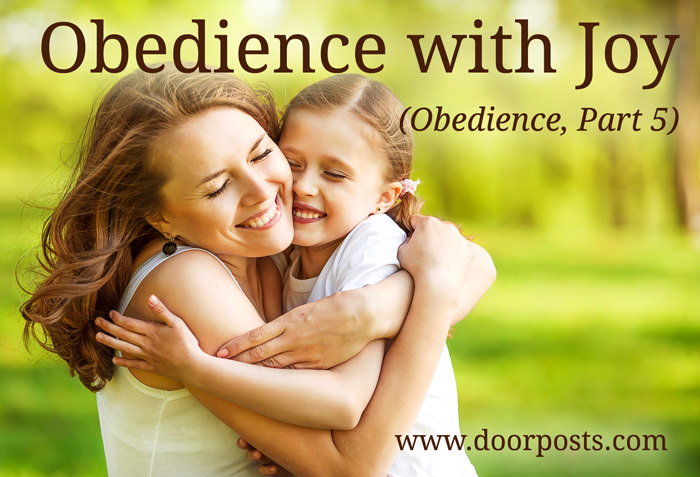 We should obey with joy because God has promised to bless obedience. Children, obey your parents in the Lord, for this is right. Honor your father and mother (this is the first commandment with a promise), that it may go well with you and that you may live long in the land. When our children obey, they can do it joyfully, knowing that their lives will be blessed. We can’t make our children obey cheerfully. But we can help them learn to obey cheerfully. 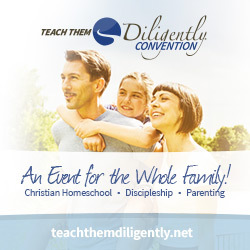 Help your children see and understand what God has done for them. When our children fail to obey cheerfully, we are seeing an outward manifestation of what is going on in their hearts. At that point, we have the perfect opportunity to help them look more honestly at themselves. Sit down together and ask questions: What are they forgetting to be thankful for? What or who are they making more important than God? What has God done for them? How much does He love them? What should our response to His love be? Share stories of God’s faithfulness and care for you. Set a godly example of obeying God joyfully, trusting Him to know what is best for you. Read Old Testament accounts of God’s love for His people. Talk about the great love that led God to send His only Son to die on the cross to save us from our sins. Help them fall in love with Jesus. If we’re going to become like Jesus, we need to know Him, and the way we get to know Him is by reading the Bible. Read the Bible aloud to your children each day. Focus on the gospels. Stop and talk about what you are learning about Jesus. In what ways did He joyfully obey His Father? Talk to your child about Jesus’s willingness to die on the cross for him. Let them see how much you love Jesus. Are you His faithful disciple? Do your children see you laying down your life for the good of others? Do they see you seeking to become more and more like Him? Help them see the blessings that come with obedience. 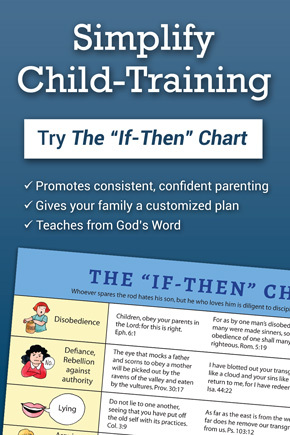 Help your children see the peace and blessings that follow their cheerful obedience. Help them see the potential problems they avoided by obeying you. Go out of your way to acknowledge and commend their cheerful obedience. Pray that God would soften and change their hearts. We cannot change our children’s hearts. If they resist our authority, we are responsible to train and discipline them. But God is the only one who can change their hearts. We can’t force cheerfulness. Pray for your children. Pray that the Holy Spirit will soften their hearts. Pray that you will be sensitive to the Spirit’s leading, not provoking your children, but encouraging and building them up, even while you correct them. When they whine or complain instead of obeying, ask them if they think God is pleased with their attitude. If necessary, ask the child to spend time in his room until he can return with a cheerful attitude. Pray for him while he’s there.